Ministry Best Practices is looking for and welcomes guest contributors. If you'd like to offer up an article that coincides with the theme of Ministry Best Practices, we welcome your submission. 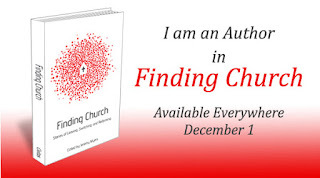 Many of the topics covered on this site fall into the categories of leadership, preaching/communication, trends/statistics, volunteers, creativity, pastoral ministry, ministry philosophy and many others. It must be between 250-600 words long. Please provide any attribution of sources w/ links. Please provide your bio for attribution. In your bio we will gladly link to your website. Bios should be no more than 100 words. Ministry Best Practices reserves the right to edit if necessary. We will reserve edits for only egregious issues of grammar and style or articles that go over length. You will have final approval on the edits. Ministry Best Practices reserves the right to choose the accompanying header graphic of all posts. Submissions will be published within 5 days of approved edits. 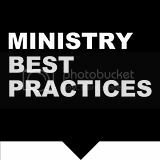 All posts will receive exposure and posting on Ministry Best Practices' Twitter feed and Facebook page. Contributors that have 4+ posts submitted and published will be listed on a designed contributors page. Posts will generally last on the Ministry Best Practices home page for about 10 days. If you post receives a lot of views, then it will remain on the Most Popular Posts sidebar indefinitely until it's activity diminishes. Email submissions HERE or make inquiries if you have any further questions about submitting an article to Ministry Best Practices.